You are about to purchase an investment property in California. This is your first foray into the real estate market (aside from your personal residence), and you are wondering how you should hold title to the property. You are considering using a Limited Liability Company (LLC) for your purchase, but you are unsure of what that entails. In short, the general “pros” include asset protection/liability indemnity avoidance, anonymity, tax advantages, and estate planning benefits. The general “cons” include additional costs and potential difficulty in obtaining a mortgage. For many investors, an LLC is the best way to purchase property. Arguably the biggest advantage is asset protection/liability indemnity avoidance. In California, one cannot avoid being sued; one can only protect his or her assets in case of a lawsuit. While it is important to have liability insurance, that might not always protect you in a lawsuit. (For example, intentional torts are not covered by insurance.) However, the plaintiff in a lawsuit will generally only be able to pursue the assets held within an LLC, and not the personal assets of the members of the LLC itself. 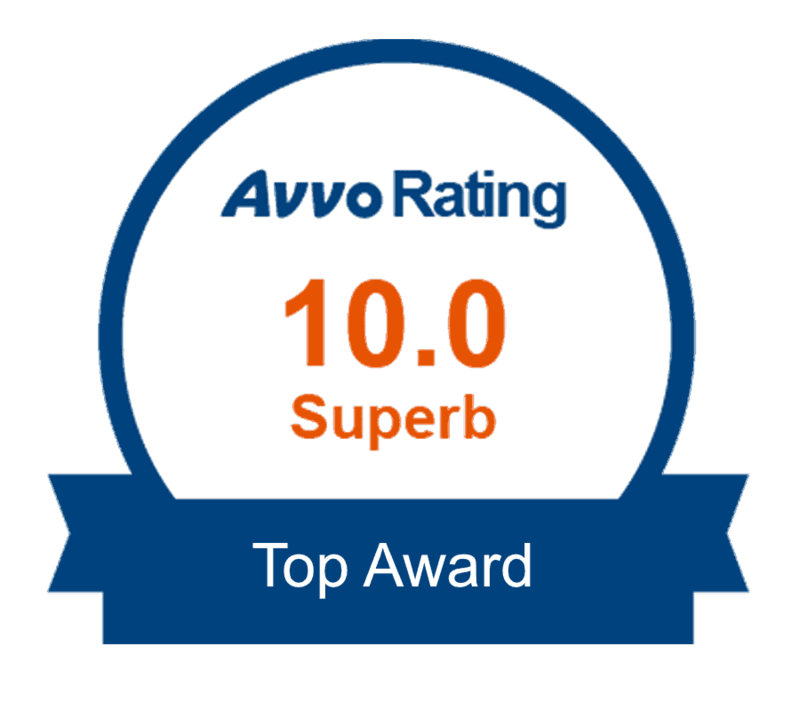 This significantly limits the potential liability exposure of the true owner of the property, and his or her assets. For example, if someone files a claim or lawsuit as a result of slipping and falling on water from a leaky pipe or some other allegedly dangerous condition, the claimant/plaintiff can pursue the assets held by the LLC, but not the personal assets held by the individual members of the LLC. If the building’s title is held in an individual’s own name, the personal assets of that individual would be exposed. Another advantage to holding title via an LLC is anonymity. The name of the LLC and the agent for service of process will appear in a search for an LLC in California. If your attorney is the agent for service of process (or you use a professional company), the individual owner’s name of the LLC will not appear on the California website. An LLC can also provide tax advantages, especially when compared to both a C-Corporation and an S-Corporation. First and foremost, a California LLC enjoys “pass-through” taxation. This means that owners report their share of the income or losses on their individual tax returns, and not a separate return filed by the LLC itself. This provides the owner(s) of an LLC two great benefits: (1) the benefit of protection from personal liability; and (3) the tax benefit of being treated like a partnership or sole proprietorship. An LLC can also provide estate planning benefits for parents wishing to pass ownership of their property onto their children. The ownership of real estate held by an LLC is represented proportionately by the member’s shares in the LLC. Rather than filing a new deed, members can transfer ownership of the property to their children by simply increasing their children’s membership (ownership) percentage in the LLC. For owners of multiple properties, the question arises whether to hold all properties under one LLC, or to create a new LLC for each additional property. For several reasons, it is generally advisable to have a separate LLC for each property. First, having a separate LLC own each property prevents “spillover” liability from one property to another, meaning that a successful plaintiff could only recover the assets from the one LLC that owns the property, and not from other LLCs owned by the same individual. This holds true for creditors as well. Further, some lending institutions will require separate LLCs for each property, to protect their interest in the property. Both single member and multimember LLCs offer the benefits of “pass-through” taxation of profits and losses, limited liability and personal protection for the owners. The key drawback to an LLC is costs: legal fees, insurance and mortgages. First, one will incur legal fees in making sure the LLC is properly formed and maintained. Second, insurance premiums for the property held by the LLC will likely be higher than insurance for the property if it is held in one’s own name. Third, the costs and ease of obtaining a mortgage for the property will increase if it is held by an LLC. (Banks and lending institutions are aware that they can only pursue assets held by the LLC, and want to ensure they can recover their money in case of a default on the loan.) Lastly, California charges an annual fee to LLCs, regardless of the income of the LLC. California charges each LLC a separate annual fee of $800. The start-up and ongoing costs of holding property in an LLC are higher than if held in one’s own name, but the extra money spent at the outset may likely save the property owner significantly more money down the road. While there are risks with any new business venture, especially real estate, for the individual who makes intelligent decisions and properly prepares, real property can be a valuable investment. 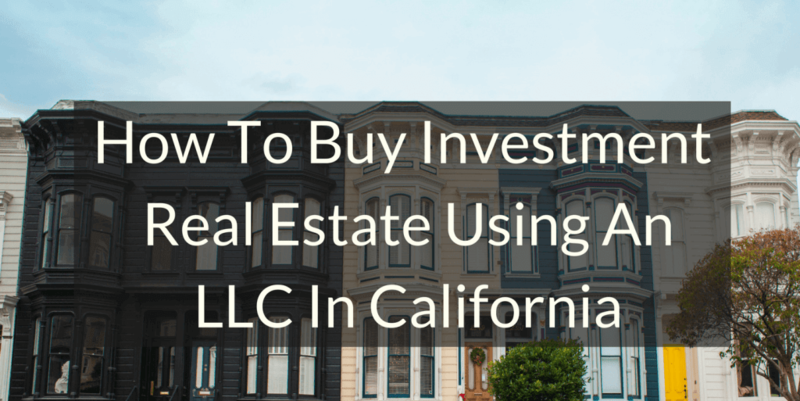 With the benefits of protecting your assets, tax advantages and estate planning aids, the LLC is a common choice amongst owners of investment real estate in California. Caution: If the LLC is not properly set up to be a real estate holding company or is not properly maintained, these protections can easily be lost. Therefore, before one starts to form an LLC to hold real estate, one would be wise to speak with an attorney to discuss the law and how one’s particular needs and circumstances might be impacted by the law.